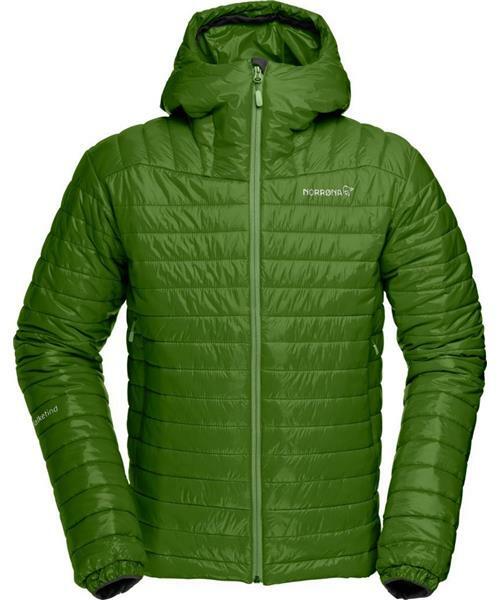 A light and packable insulated hooded jacket for all season use. This windproof insulation garment can be worn alone or in combination with an outer layer. The PrimaLoft® Silver Insulation provides good insulation even when wet, and has a higher warmth-to weight ratio than fleece. The jacket can be compressed into a packable pocket, and have features such as Polartec® Power Stretch® cuffs, warm and weather protective hood, and one hand elastic adjustment in hem.